Trading in forex is exciting. No doubt about it. It’s like a racetrack. It’s fast and requires quick decisions. In a matter of seconds you can either win or you can lose it all. Forex attracts traders who want to jump in and out of the market in a way that results in high profits. That’s all good and fine, but it doesn’t happen over night. Trading forex isn’t really for dummies. It requires a lot of learning and understanding way before taking that first plunge real-time. For anyone wanting to begin with forex, PREPARATION is the name of the game. Getting prepared means that you know ahead of time what to watch for and which action you should take. Fundamental market analysis involves studying the current events and data that are related to the currencies you are interested in trading. 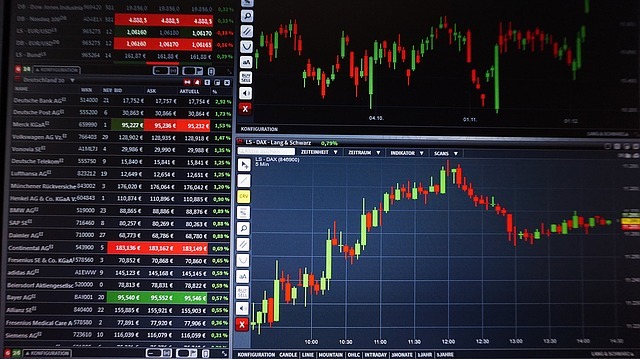 This involves studying the overnight interest rates, paying attention to the meetings and decisions handed down by central banks and watching all economic news. This could even mean noting political changes, new policies around the world and harsh weather events. Technical analysis, on the other hand, relies on studying the charts to get the market data numbers. This could be the volume of supply and demand, historical market data and quotes. Stay involved with the pricing in and out of expectations that occur before the data is published or an event happens. Be in touch with news or data regarding interest rate expectations, prospects for economic growth and inflation. Before you begin trading, it’s vital to understand what you’re getting into and prepare a plan. And then stick with it. Rely on your plan to help you identify trading opportunities and how to handle them. Know before hand when you are going to enter and at what point you will exit a trade. This type of preparation will help you maintain discipline in your trades rather than being carried away on a whim. A complete trading plan will lay out the criteria for position size, conditions for entry and stop loss for exiting. At entry, you should put in a stop/loss order. This should come after studying the technical analysis. Your knowledge of what drives the currency pair’s prices up or down will help you make this calculation. Make this stop/loss decision beforehand and then don’t fall into temptation to change it in the middle. Put the amount of effort into your trading plans that is necessary so that when the ball starts moving fast, you can rely on your plan to see you through. The beauty of trading plans is that they remove the emotional aspect that can cause you to lose money big-time. Be confident that your trading plan is good and that it supports your financial risk-management policy. And last of all – have the patience to stick it out! Currencies can move fast and furiously. But don’t jump in too soon! Wait until your trading strategy fits the market to make your move.